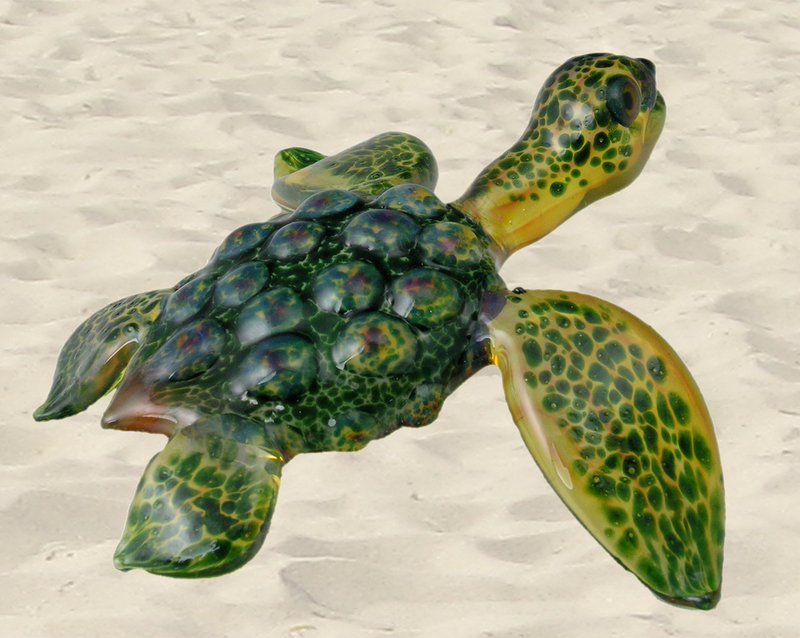 These are richly detailed large Sea Turtles for display on a shelf or counter top. 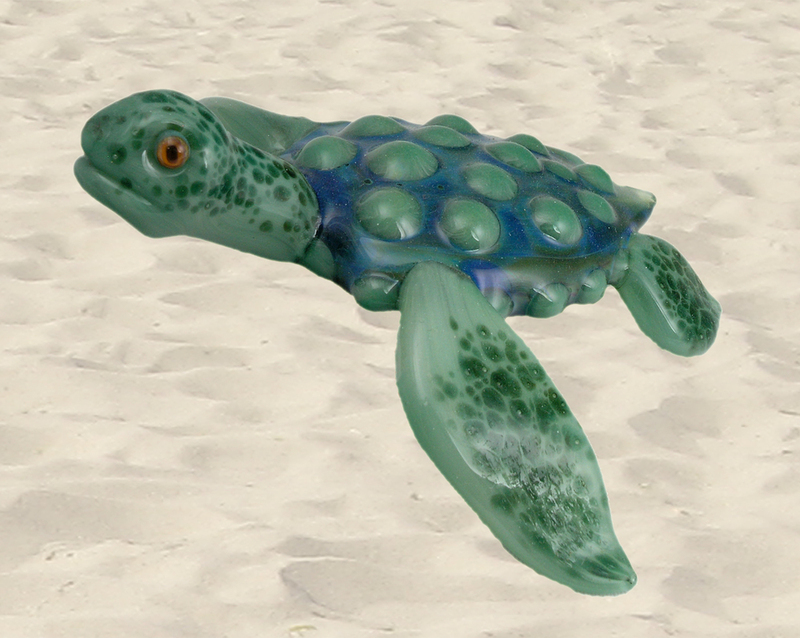 They are about 4 inches from nose to tail and about 5 inches across the front flippers. 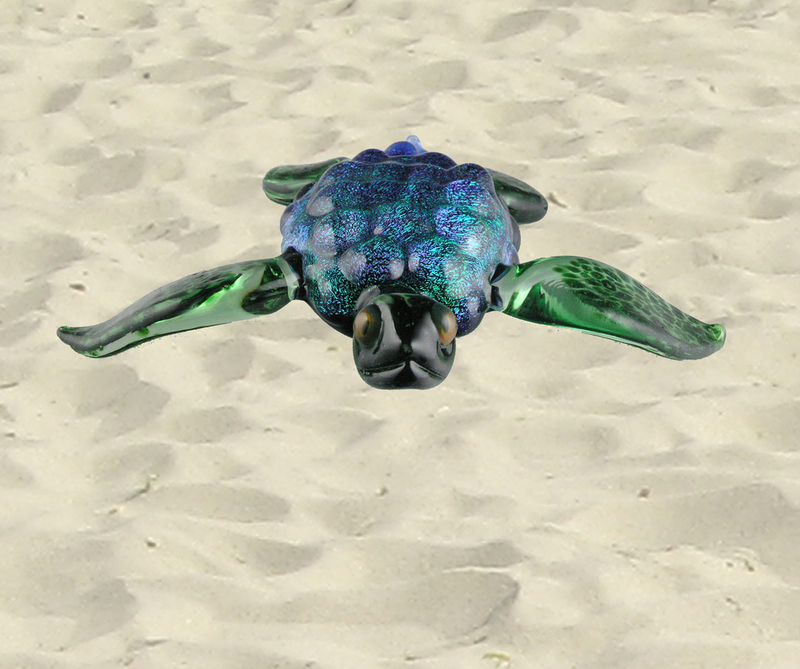 They come in both dichroic and non-dichroic shells. 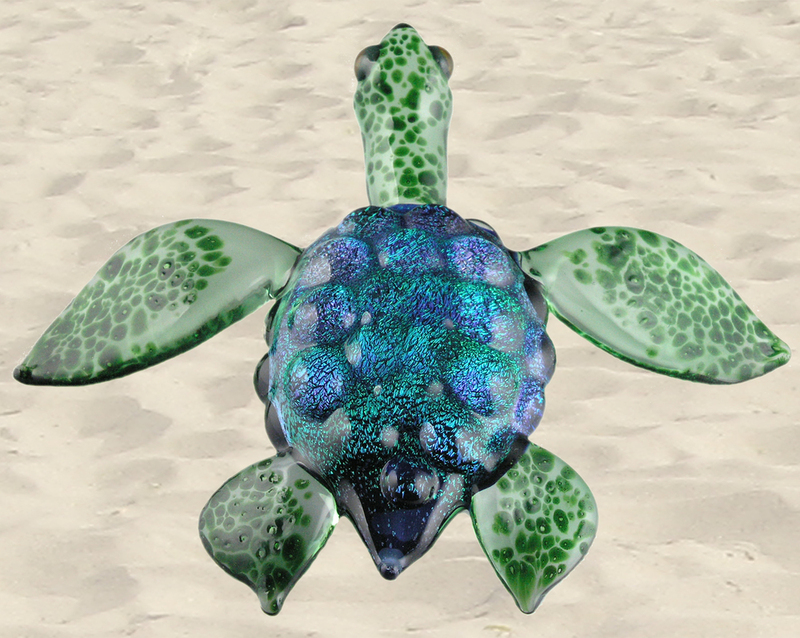 The dichroic glass lends the incredible sparkle and color-shifting effects dichro glass is famous for. 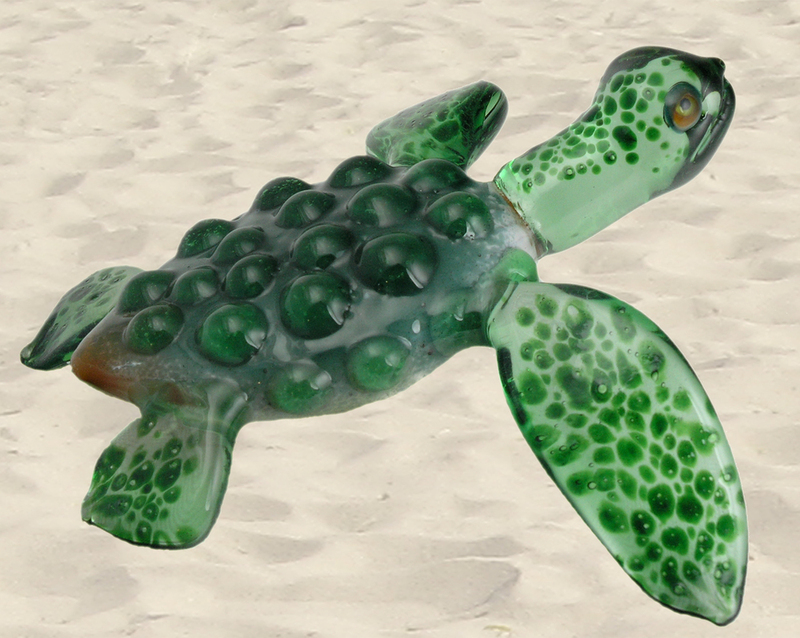 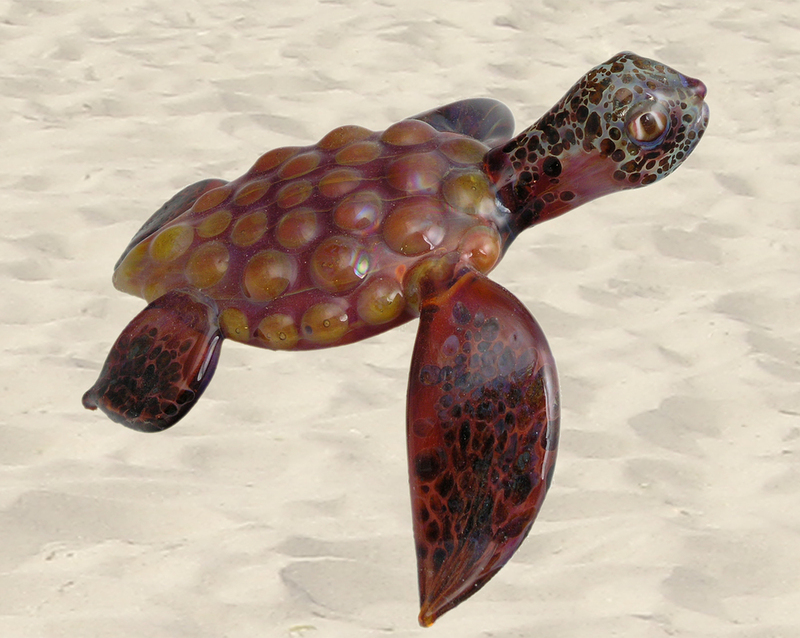 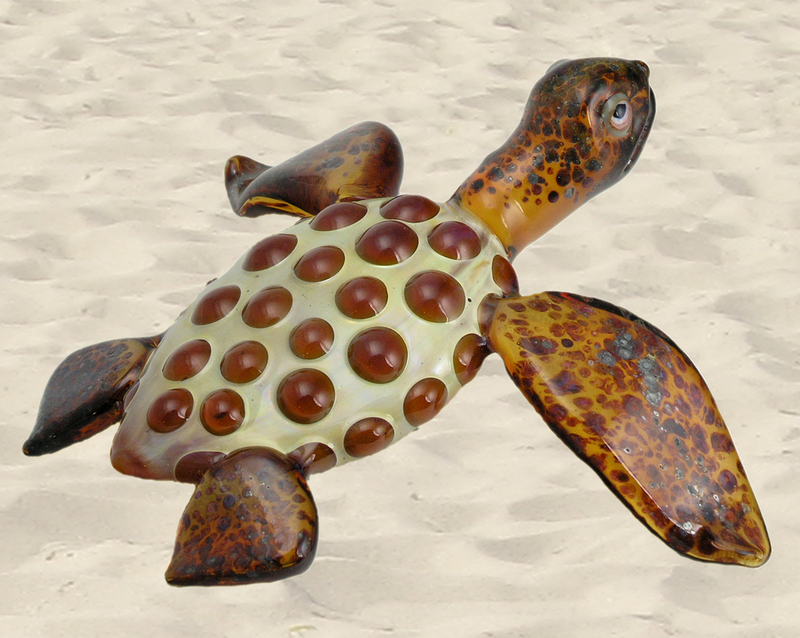 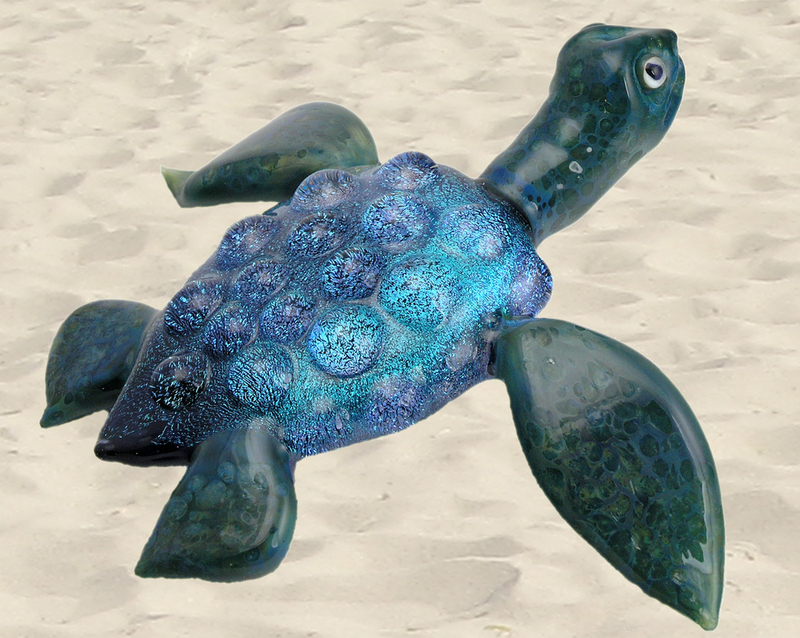 The non-dichroic turtles come in colors evocative of the beach and the ocean. 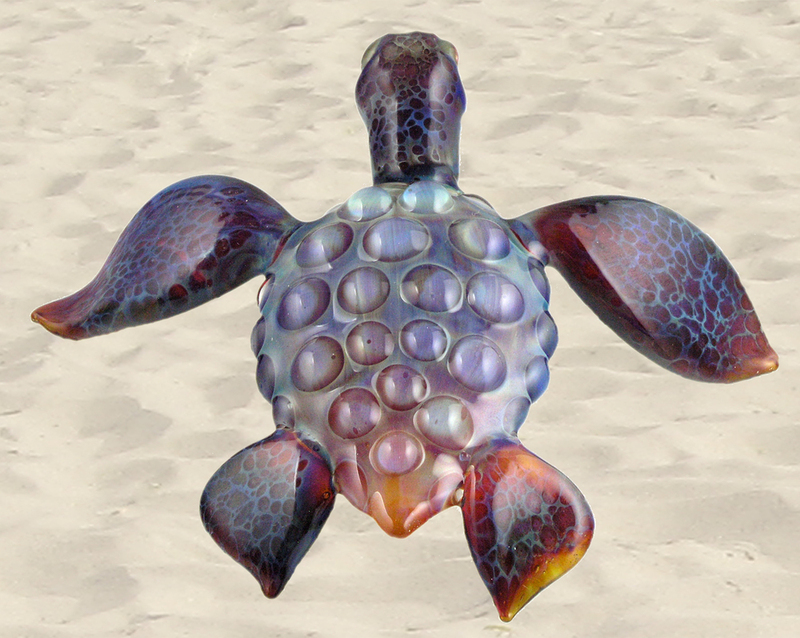 The shells of both are covered with glass dots that are only partially melted in. 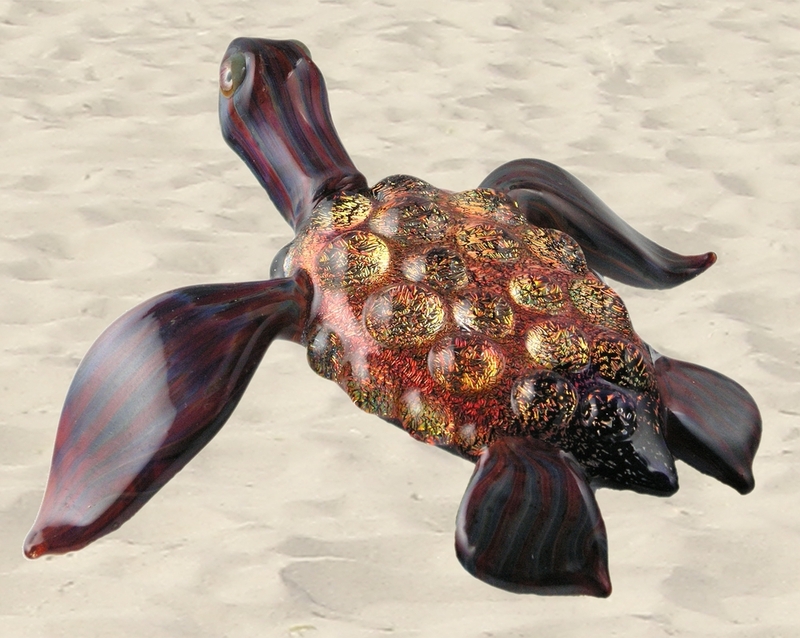 This gives the piece a pebbly texture and amplifies the underlying color.